Finished the year at $725,000 of gross sales. 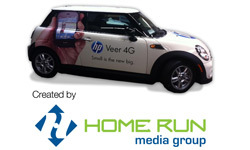 Completed a $175,000 vehicle wrap for Hewlett Packard. Added a full time promotional products sales rep to their team.